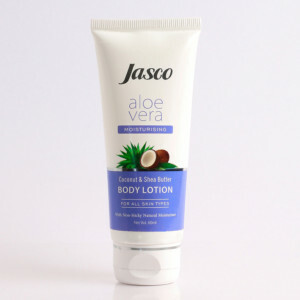 Jasco Aloe Vera Body Lotion comprises of natural elements that gives smoothening and brightening effect to your skin. The herbal extracts in Jasco body lotion hydrate and moisturize your skin and gives you a healthy look. It not only moisturizes and hydrates your skin but also softens and soothes it. Feel the Rejuvenation with the softening body lotion by Jasco.